Hope everyone had a fabulous weekend! I have a big week ahead of me, tomorrow is my first official day in clinic! Pretty exciting. My first rotation is in the pediatric dentistry clinic. Open wide kiddos! I’m pretty excited/nervous. I’ve worked so hard for the past two years to finally get to this point! Let’s do it! 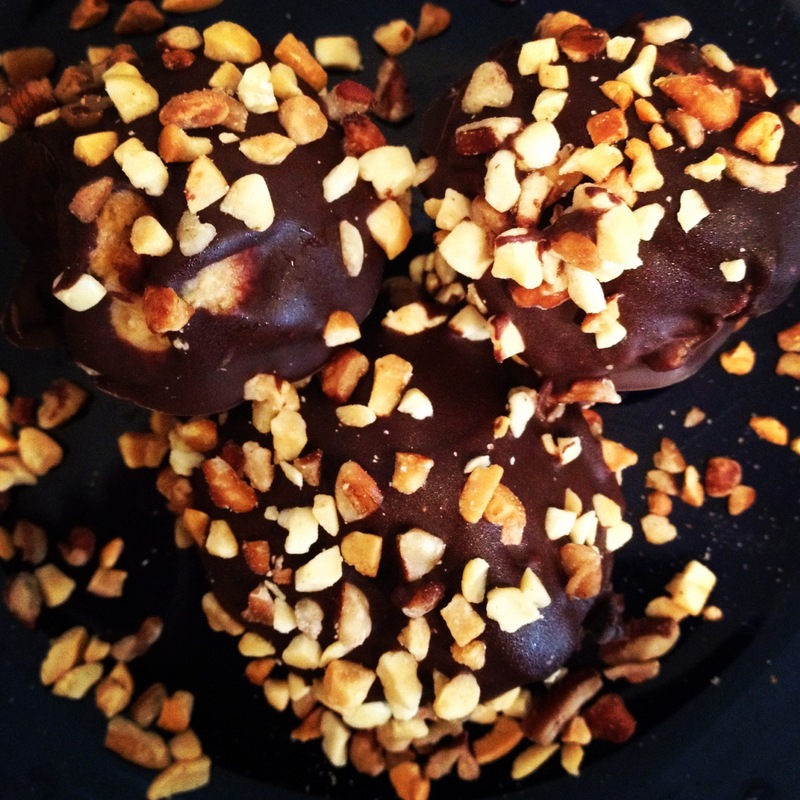 I love the way these peanut butter balls turned out. Delicious! I do need to work on my presentation a little bit though. My kitchen was super warm the day I made these and the balls started softening before I could even get them in the chocolate. So some of them turned out a bit sloppy, but I progressively got better! I also love that these are bite size desserts, they hit the spot when you need something sweet after dinner. 1. Take your graham crackers and blend to crumbs in a food processor until you get 1 ½ cups. Add graham crackers crumbs to the 1 cup of peanut butter. Add powdered sugar. Mix well. You want the mixture to be dry enough to be able to form balls. Add a little bit more peanut butter or cracker crumbs to achieve this consistency if need be. 2. Form 20 even sized balls with your hands and place on a wax paper covered plate, cutting board or baking sheet. Freeze for 30-60 minutes. When you make chocolate covered anything… I need to close enough to taste test.